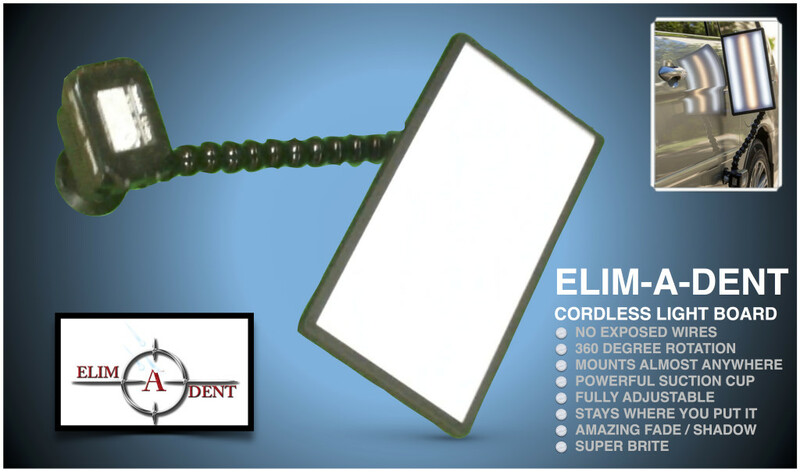 The Elim-A-Dent Light is super durable and extremely portable. This mini light is powered by Makita or Dewalt drill batteries so it has great run time and is super easy and fast to recharge. No exposed wires!! The design also offers 360 degree swivel action without worrying about twisting up wires and causing damage. The Elim-a-dent fade shows all of the detail in the dent. It floods light into the bottom of the damage well and has great detail for finishing. For mobile repairs and for cross checking hail, these beauties are ideal! Every tech using an old reflection board should look further into the cordless light board from Elimadent. 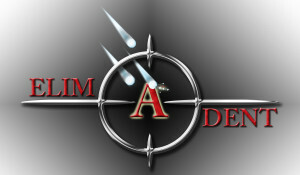 Head over to the Elim-A-Dent website and click on the image to add it to your shopping cart. Post by Elim A Dent. Shop for Dent Repair Tools. Dent-Remover uses this board, this is the perfect weapon for route work. Very robust design and very bright! Every route guy needs one! Cheers Martin @ Dent Remover Hull. Bright,Very durable, No cables in the way,affordable, If you don’t have it you missing out!! A month of use and is my most important tool! Need a 36″ hail version now. I am writing to have some information on were it would be possible to find the lamp and at what prices they are sold for, with a complete set including batteries. You can purchase them from Elim-A-Dent directly or from Ultra Dent Tools.